Is your pet is bothered by loud noises? Have travel or separation anxiety, or cower and hide in moments of stress? 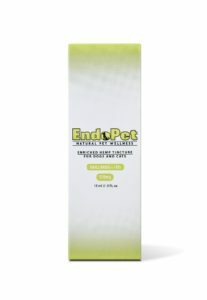 EndoPet’s Enriched Hemp Tincture’s ingredients may help bring about more balanced, calm behavior. No sedation or personality-changing effects – just holistic, plant-based, natural calming! Small breed size with 150mg CBD per 15ml bottle.